I have been dreaming of this pizza for a few weeks. Two of my all time favorite things combined into one. Alfredo sauce and pizza. 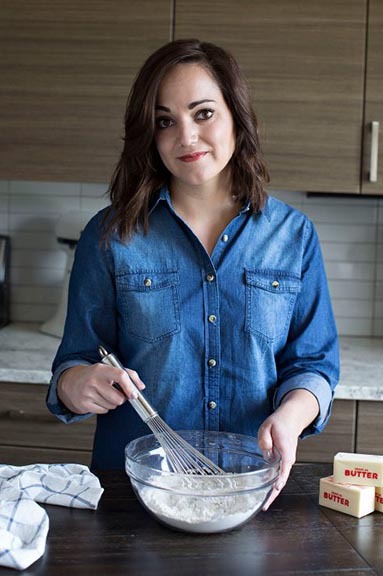 The idea first came to me when I was browsing the recipes in the newest Six Sister cookbook, A Year with Six Sisters’ Stuff. 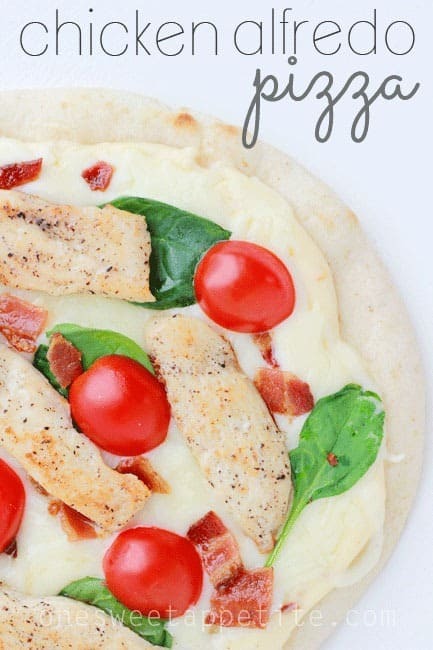 They have a recipe for grilled chicken alfredo pizza that looks pretty tasty along with a couple other that I can’t wait to try! I did decide to make a few changes. I like a little spice to my pizza so I tweaked the sauce, switched it to easy mini pizza’s (thanks to my friend Yvonne from Tried and Tasty), and ditched the grill idea and stuck it straight in the oven! The results? One AMAZING pizza. My family loved the mini’s. It made it simple for us to all add different topping choices which means everyone was happy when it came time to eat! One thing that’s awesome about this dish is that you can really get creative. 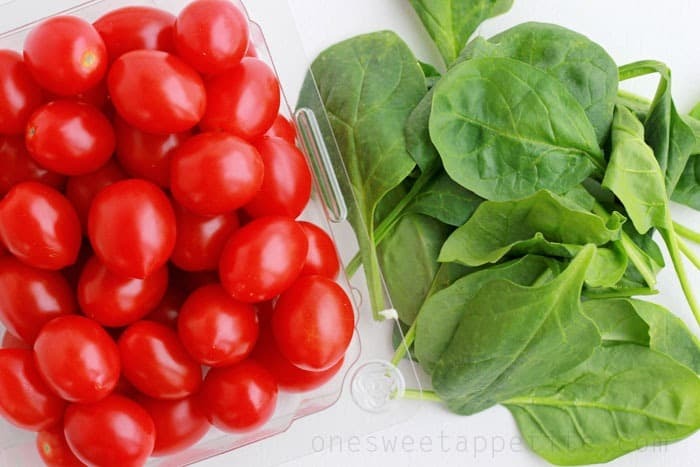 You can use fresh tomatoes… maybe some spinach and bacon… OR go with some sun dried tomatoes and basil. 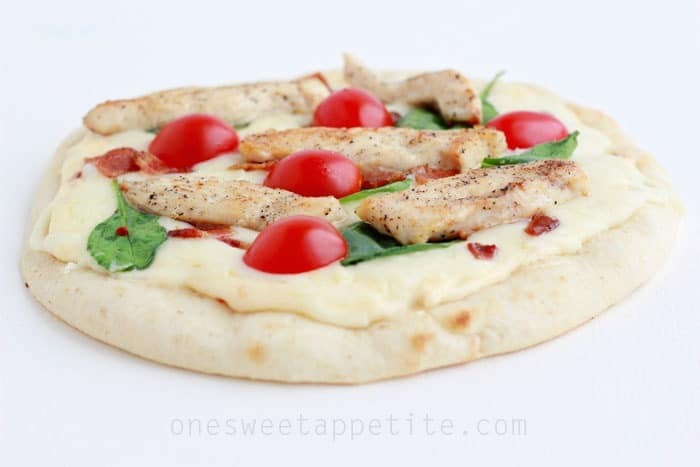 There are so many options that you really will end up with the perfect pizza for everyone. In a small saucepan combine the butter, garlic, and pepper flakes. Once the butter is melted whisk in the flour followed by the cream. Cook for a minute or two or until slightly thickened. Remove from the heat and stir in the parmesan. 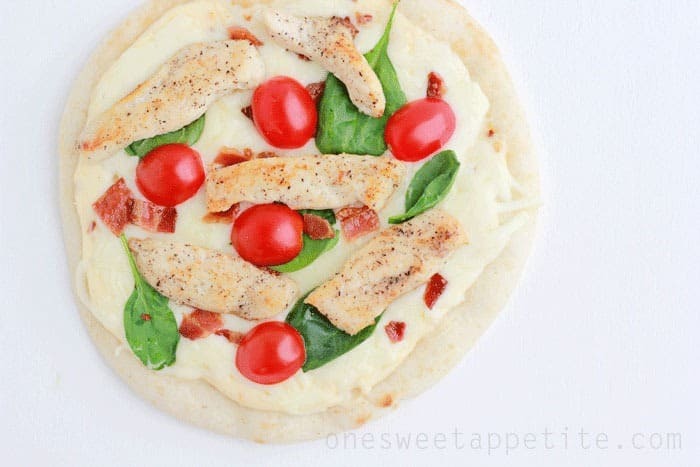 Place your flat bread onto a cookie sheet. Spread a thin layer of your alfredo sauce followed by mozzarella. Layer the rest of your ingredients. Bake for 8 to 10 minutes or until the cheese is melted. Let’s talk a little about the book! I really liked the big pictures and overall look. The instructions are well written and the cute descriptions about each meal was nice to have when deciding what to make for dinner! All of the recipes are quick, easy, and family friendly. Which is right up my alley. What I wasn’t so keen on was the layout. They have it set up in menu’s. Which means every couple of pages you are presented with an appetizer, main dish, and dessert… At first I thought it was cute but quickly decided it makes it difficult to find what you are looking for. Maybe it’s because I’m so used to just flipping a book open to a specific category, quickly flipping through, and finding the recipe I’m searching for. With their layout I end up flipping through the entire book and finally digging into the index trying to find what I’m looking for. I love this recipe and can’t wait to change up a few more from the book. Thanks Six Sisters & Deseret for letting me have a sneak peek! I love grilled pizza, but the flatbread seems so easy! YUM! Alfredo is my favorite! I’m going to have to give this pizza a try! Mmm this looks soo good! I would love to try it with sundried tomatoes and basil. YUMMM! Love mini-sized pizzas! This looks tasty. Oh, this looks so good. I’m pinning this for when we are eating meat again. 2 1/2 weeks can’t come soon enough. 🙂 I have made a couple of things from that new cookbook. They have some really great recipes to try. 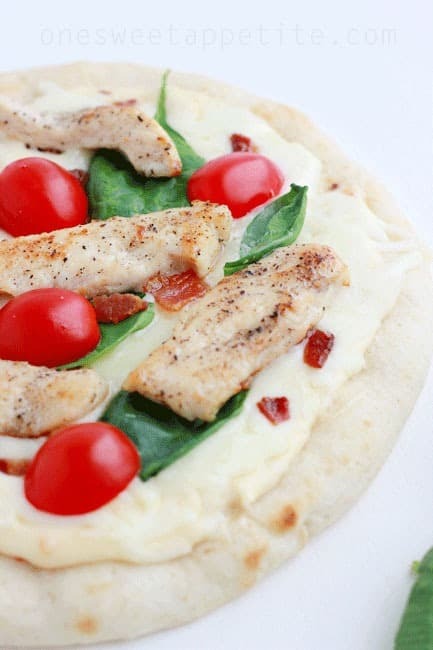 I use flatbread all the time its a great time saver.